“Availability is extremely limited for 2019. If you do not see availability for the number in your party there could be as few as 1-2 seats available on that specific launch date. Keep in mind changes occur daily and if you don't find what you need, check back frequently as cancellations do occur." 100 miles on the Colorado River through the heart of Canyonlands National Park, over some of the largest whitewater rapids in North America, and a Scenic Air Tour return over Canyonlands National Park to all the adventure possibilities in Moab, Utah, makes Cataract Canyon the perfect alternative (or prequel...or sequel) to a Grand Canyon 4 Day trip! If the 4-day is not available you may want to check the 3-day in the same date range. A Western J-Rig is probably one of thee most impressive boats. First of all, it is a motor rig so it has a motor on the back but it isn't loud. Some people think they are going to hear a motor constantly and I often get people come back and saying, "Wow you can't really hear this motor much at all." That is a great benefit because you not only have this quiet motor but you are able to go down the canyon and a little bit faster pace so that you can stop at places and maybe get there first when no one else is around or stay there a little bit longer at these amazing side canyons or stops. My mom has always wanted to see the Grand Canyon, but she's terrified. And let me tell you what I told her. 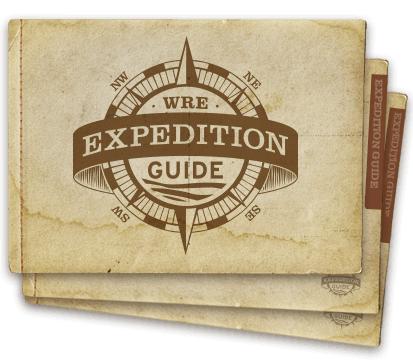 Western River Expeditions has the best boats, in human history, for large white water rafting. And the reason I say that is you've got a front rack where you can just put people on and it's like riding a bull. I mean waves are coming over, you're barely hanging on. Then they've got the next spot, up on the coolers, where you can watch all that go on. You still get wet, you still feel like you're in the action, you're still having a great time. It's a little bit more mellow. And then they have the chicken's coop, which is back behind. It's almost like you're sitting on a couch at home. It's not quite as comfortable, but you're in the back. I mean you're looking out the side, you're enjoying the scenery. It's a little more of a rocking motion. People love the J Rig because of everything it can do. It's like Mary Poppins' bag, things just keep coming out of it. And you don't know here they can keep all that food, but there it just keeps on coming out. And when you're on it, you can walk around. It's like a little floating island, you know? You might as well be Gilligan, just having a great time. You can get the exactly what you want on a J-Rig and I think that's why people really love it. A lot of people start out being pretty nervous. They will sit in the back but as soon as they get a little more comfortable and start to feel the boat and feel how it moves, they will actually move forward and be so excited to have ridden a class 8 in the Grand Canyon down front. We went through number 10 white water! And we lived to tell about it! Oh my gosh, sitting on the front of the boat is the most fun thing I have ever done in my entire life. The waves just got better and better, it's like a giant roller coaster with a big splash at the end. The rapids, as you are approaching, you can't see the swells and the drops. All you can see is this froth coming up and you're like "meh, that isn't so bad", and suddenly you are on the edge of this thing looking down into this hole and you're like "this thing is huge!". It is pure exhilaration, it is a fantastic feeling. All you want to do is go again, "can you turn it around and go again?" because it is awesome. I will bring my wife and kids down here because I know that they would be blown away. They would love it. I want to bring my family back for sure so they can experience what I have experienced. I think that the J-Rig gives people the opportunity to experience white water in a completely different way. It provides people the leisure of walking around and enjoying themselves comfortably while we are motoring through flat water. And it also give them a wild ride while they are going through the rapids. I believe the Western's rig is one of the best rigs in the canyon. The J-Rig carries a lot of gear, we can travel quite comfortably, our camps are very well stocked and we carry a lot of gear so we can make the camping trip comfortable and a lot of fun for people. Western is the only company that used the J-Rig and it's a unique boat set up for safety, most importantly. But it can also carry a lot of extravagant gear, which makes the camping trip quite nice. There were about eight waves, but number five, all you can see on number five is blue skies straight up and straight back down the other way just like a roller coaster. It was about seeing your toes and then seeing the bottom. Up and down, up and down. Oh, that was the ride of your life right there. That is the best of the west. I was sitting there, but then I ended up in the middle. It was up and down, up and down eight times, eight waves. Well I kind of just tried to stay behind the women. Not trying to protect myself, I had an experience with the crash of that wave and sometimes you can't hold onto that rope; someone has got to be there for them. I was taking it for the team. Western River Expeditions guests and guides describe the one-of-a-kind J-Rig raft, a patented boat used exclusively by Western River. See why Western River Expeditions' famous J-Rig raft is the best way to tour the Colorado River through Grand Canyon.